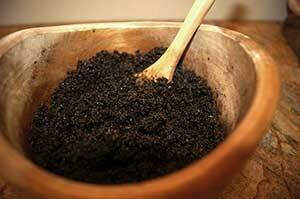 This has to be one of my favorite body scrubs. Personally I don’t drink coffee and am not a fan of it but let’s face it coffee smells amazing! I love this combination and try to use it regularly. 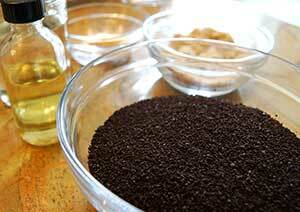 So why a coffee scrub you might ask… well coffee can help with cellulite, is anti-inflammatory, and has antioxidant properties. It’s great for your skin and will make your skin extremely soft and feel amazing. 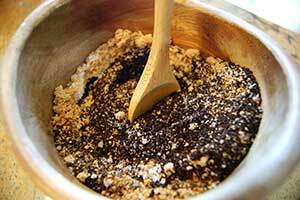 It’s good to exfoliate about 2 times a week and using this coffee scrub will make a major improvement to your skin which can overtime also reduce cellulite. Great for your skin, leaving it soft and smooth. Also can help reduce cellulite overtime. Other options: you can replace the oil or use one oil instead of two personally I like this blend since both are extremely beneficial for your skin. Almond oil, olive oil, or any plant based oil used in skincare would also be good options. 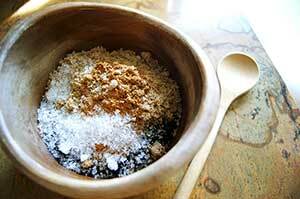 You may also add ground nutmeg, or essential oils to change the scent to your preference. After rinsing make sure you wash with soap. The oils allow the small particles of the ground coffee to stick to your skin making your skin appear darker in certain areas. I learned this the hard way! You may need to clean up your shower pretty good too. Soap and water will do the trick.